Prev Can This Bedtime Be Saved? Next How Much Do You Really Pay A Babysitter? It’s no secret that my favorite baby gift is a bundle of my favorite children’s books. I often find myself going to my son’s bookshelves to select a few of my favorite book titles to buy for the new baby and parents. Sadly, this weekend I started packing up many of my son’s children’s books from his younger years. He tells me that at a playdate the other weekend, one of his friends was asking him why he still had “babyish books” from his younger years still on his shelves. I’m sure the boy’s words weren’t as teasing as Ry felt them to be, but, nevertheless it is time to make room on his shelves for the bigger-boy chapter books that he is currently reading. Upon starting my “donate” and “storage” boxes, I realized that I could no longer run to my son’s shelves to select my favorite children’s book titles to gift. Yes, I have my previous order lists on Amazon, but they’re a mish-mash as I’m pretty particular about which books I pick out to gift. 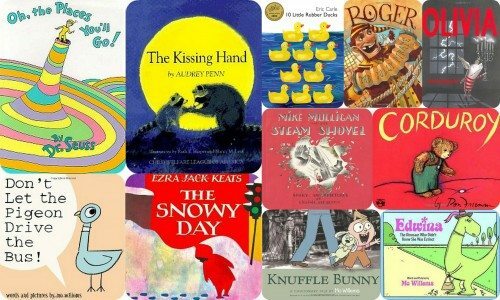 So, I decided to chronicle our favorite children’s books here so I could have a nice go-to list. I hope it helps you too when you’re searching for children’s books to gift to very young ones. 9: Don’t Let the Pigeon Drive the Bus! 39: Miss Nelson Is Missing! 44: Is Your Mama a Llama? 66: Oh, the Places You’ll Go! 69: Martin’s Big Words: The Life of Dr. Martin Luther King, Jr.
What are some of your favorite children’s books for little ones? I agree! 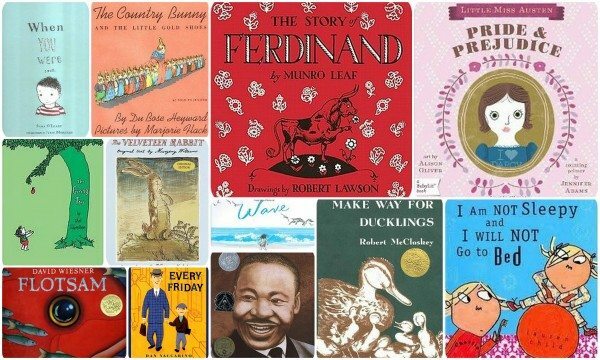 The best gift I received when my son was born was a keepsake bag of children’s books. We already had all the big stuff and it was such a sweet and personal gift. Max’s Book Club was the site they ordered from. Now that’s what I send all new babies! My children and I love reading. The books in your list are some of my all time favourites from my childhood. My absolute favourite time with my kids is reading them bedtime stories. Great article, thank you!